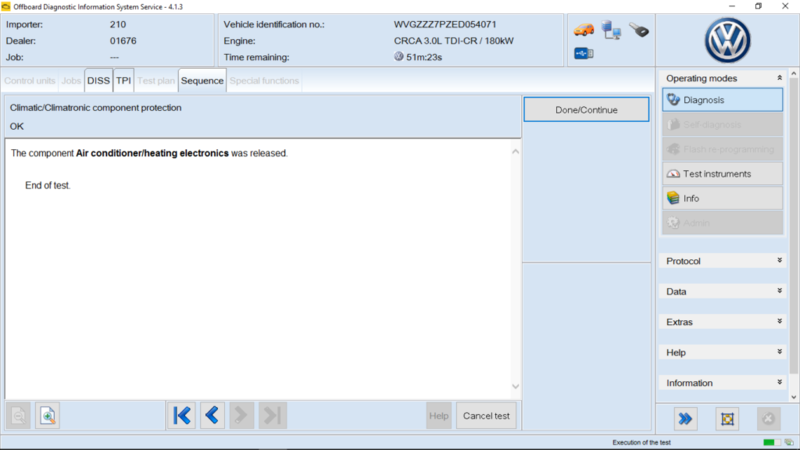 In theory this is possible with specialised tools such as ODIS () and a login into VAG group, so some third party garages and specialists may be able to offer this service. An example of ODIS showing the component protection released sequence, please note to do this you will need a valid account into VAG group. The alternative is a quick trip the the dealer, they usually charge between 1-2 hours labour for this.